← Shadow of the Leader: The Remake. We are connected to the past, but are not defined by it. Many companies are proud of their heritage and company traditions. HSBC is 150 years old this year and planning multiple celebrations focused on its long tradition of supporting economic growth and wealth creation. In many ways, nearly all companies use the legacy of the founders and their early values to help build pride, define who they are and to differentiate them from their peers. While start-ups have energy, passion and a future vision, established organisations have their history and legacy as well as a future vision. More often than not that is just another example of corporate spin, otherwise known as BS! 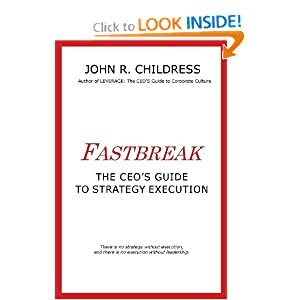 Culture has very little to do with history and legacy and more to do with the day to day routine behaviours that management and employees use to solve problems and the current policies and procedures that everyone must adhere to. 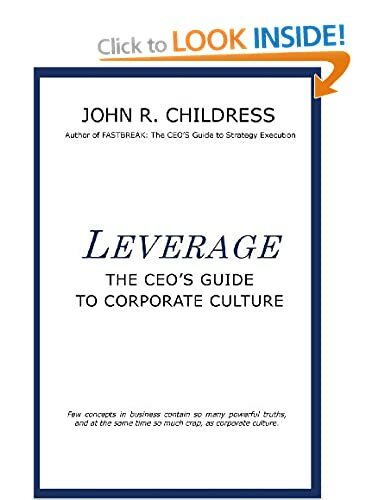 In my book, LEVERAGE: The CEO’s Guide to Corporate Culture, I make the point that while founder values and leadership actions may be strong in the beginning, as a company grows the impact of leadership and history on corporate culture gives way to the peer pressure found in local subcultures inside the company. And since there is no single corporate culture, but instead most large companies are a collection of strong subcultures, history, heritage, tradition and legacy values may have little to do with how the modern company actually behaves. Banking is an excellent example. The rise of strong trading and investment banking subcultures have completely overshadowed the values and legacy of the early founding fathers. For companies such as HSBC to attempt to reshape their currently dysfunctional corporate culture by focusing on heritage and founding values is a design to fail. They should use the millions of dollars spent on their 150-year celebration to take an honest look at what really drives their current culture and performance. This entry was posted in corporate culture, Human Psychology, leadership, Organization Behavior, strategy execution and tagged Chevron, company performance, Corporate Culture, founder values, founding fathers, heritage, history, HSBC, Investment Banking, legacy, Mission, peer pressure, tradition, values, Vision. Bookmark the permalink.